Did you know that Glacier National Park is part of an international peace park? Neither did we! The United States joined forces with our friendly neighbors to the north, Canada, in 1932 to combine Glacier National Park and Waterton Lakes National Park into the world’s first international peace park — Waterton Glacier International Peace Park. Exploring Waterton Village in Waterton Lakes National Park. PRO TIP: You need a valid passport to venture into Waterton Lakes National Park. The border crossings have varying hours depending on the season, so check ahead of time. 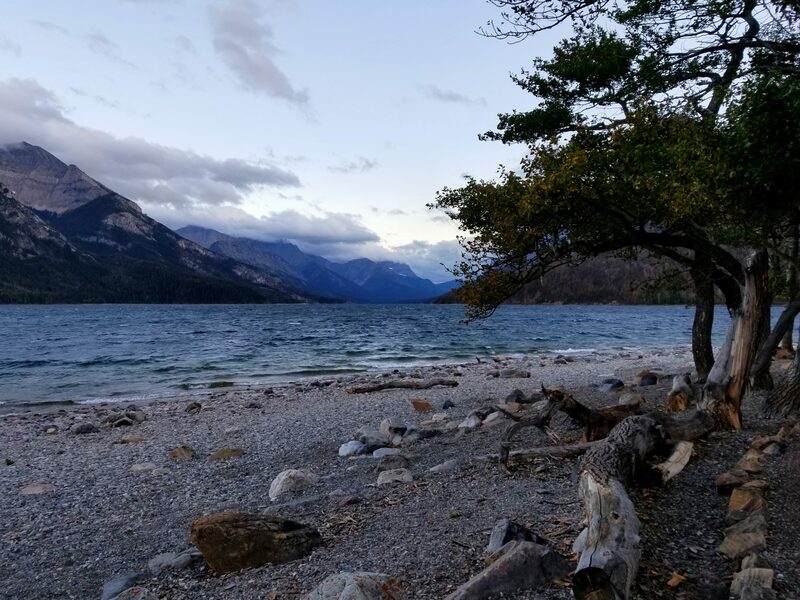 Being so close to Alberta while exploring East Glacier National Park, we could not pass up an opportunity to check out Waterton Lakes National Park. Upon entering we learned that there were ample hiking and camping opportunities, that is whenever they reopen. About eighty percent of the trails were closed and only one campground was open when we visited. Immense wildfires decimated the park the year prior and there was an active fire at the time of our visit. At the heart of Waterton Lakes National Park is — you guessed it — a lake. This grand lake is surrounded by brilliant mountains and next to the small town of Waterton Village. Our legs welcomed a break from hiking and the chance to explore a new town after trekking up to Grinnell Glacier the day before. Waterton Village had everything we needed to enjoy our time there, a campground, local brews, food, and shops. I even tried a new type of pie for my birthday — saskatoon pie. Those of you who know me are familiar with the two types of pie I like — hot and cold. Saskatoon is jammy, tart, and pairs perfectly with a scoop of ice cream. 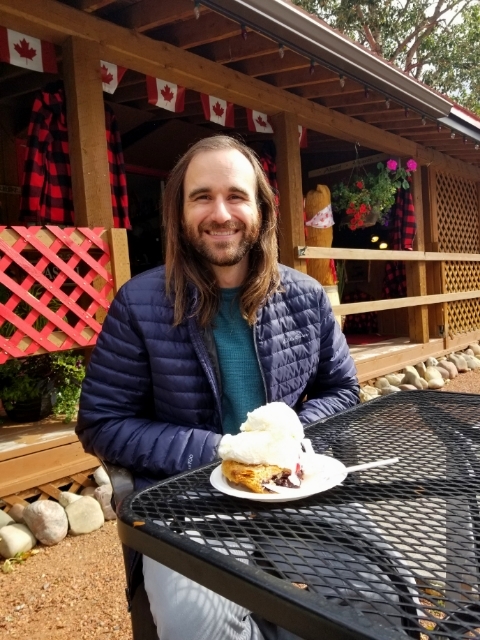 Enjoying a tasty slice of saskatoon pie for my birthday. We only spent one night in Waterton Lakes National Park, though this was all we needed due to the fires. If you are visiting Glacier National Park and have your passport definitely make your way up to Alberta. If you don’t have your passport...what are you doing?! Get a passport.